Source: Richard Chase; published in English Dance & Song, March April 1940, Volume IV, Number 4. This is a very simple dance. 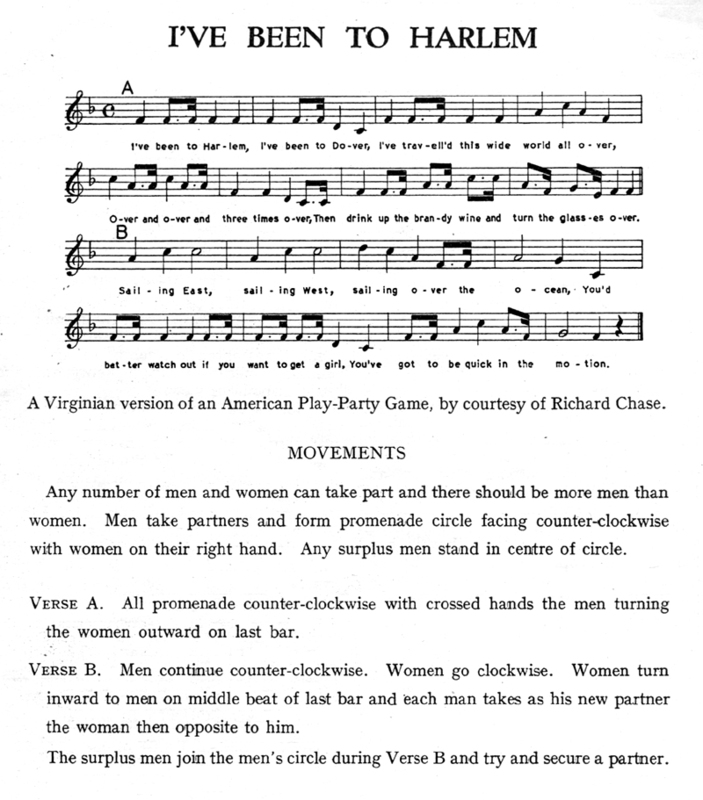 Most other versions add a bit more to it: the spare people may be men or ladies; the spare people circle in the middle; the promenade can involve three people (lady, man, lady) and finish with the man making an arch with his left hand, sending the right hand lady into the centre, and drawing the left hand lady into a swing.